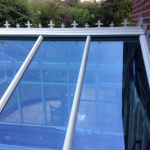 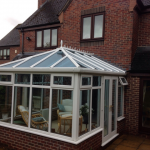 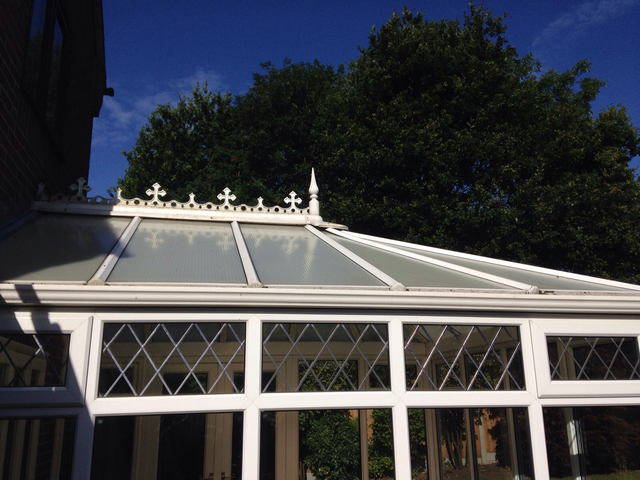 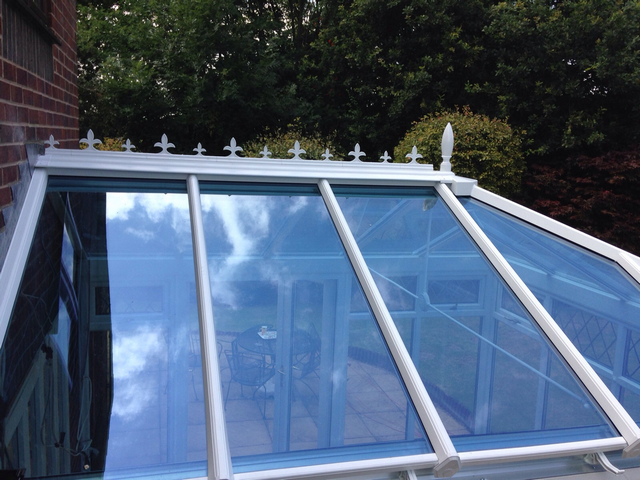 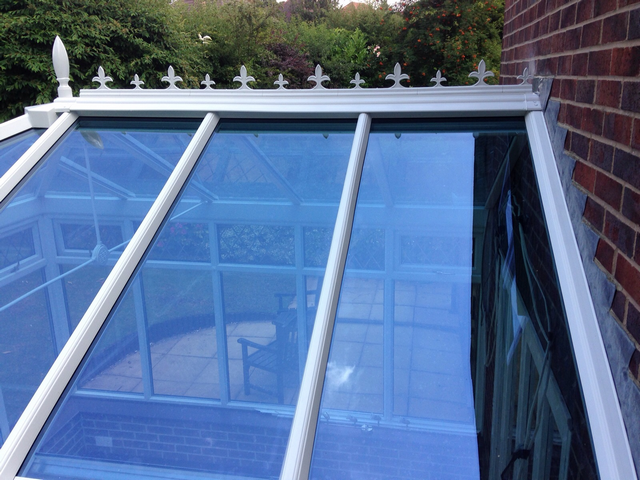 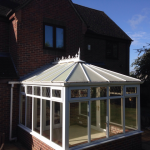 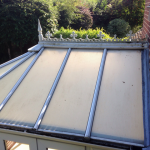 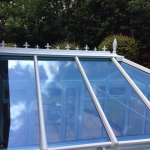 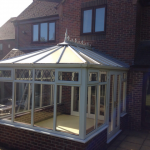 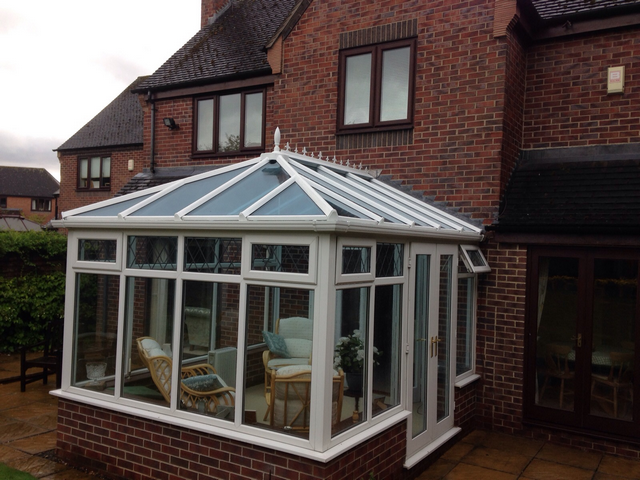 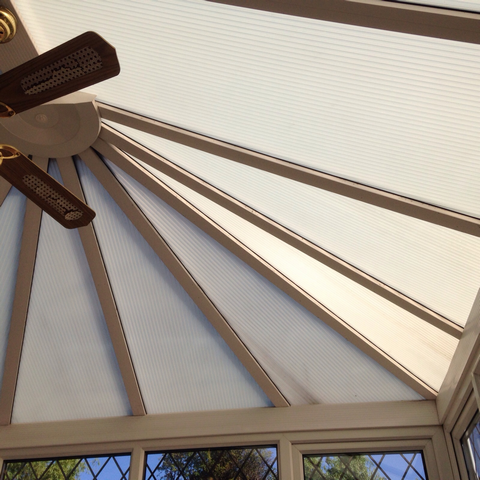 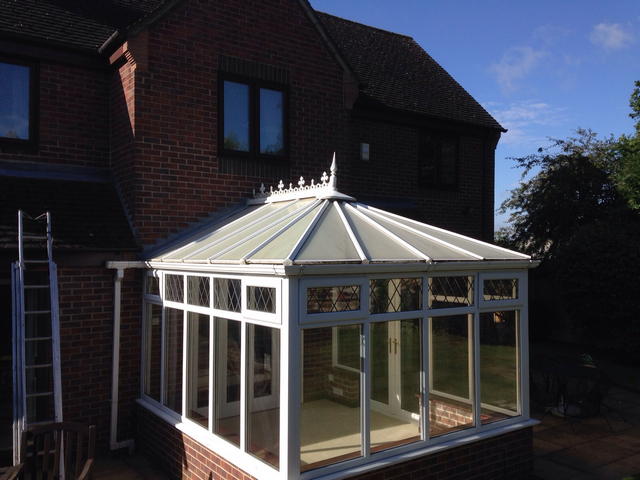 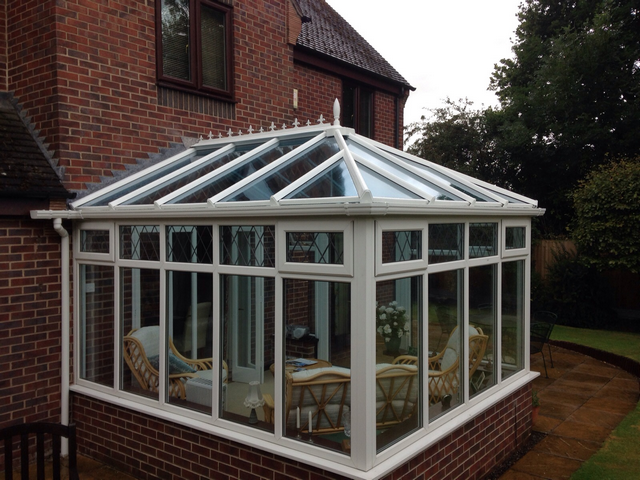 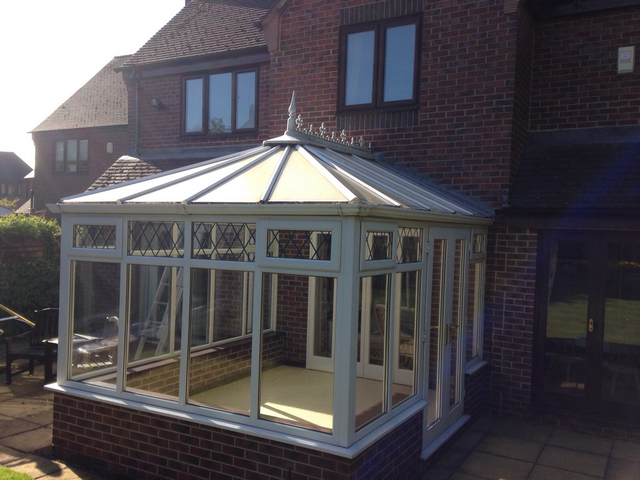 We recently replaced some glass in a conservatory for our customer in Allestree Derby. 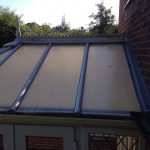 Whilst replacing the glass, she also asked us about the roof, and said she would like the the poly carbonate sheet replacing with glass. 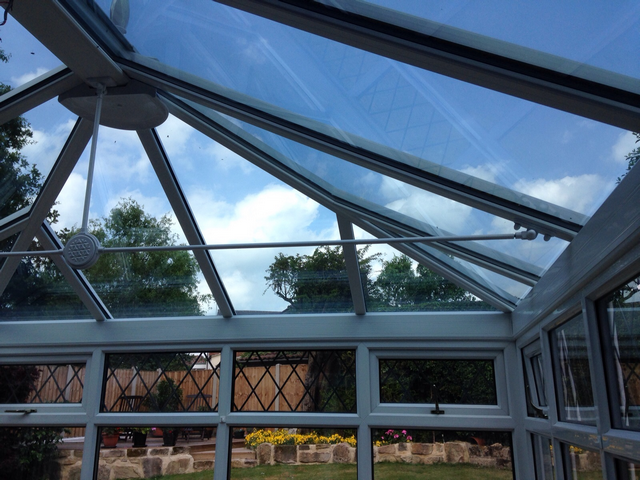 The current roof was keeping in the heat during the summer, meaning it felt more like a green house and it was uncomfortable to sit in. 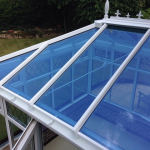 We advised her to choose Active Blue Glass as this is better than normal glass. 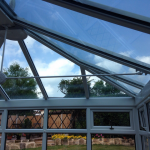 She was happy to take our advice. 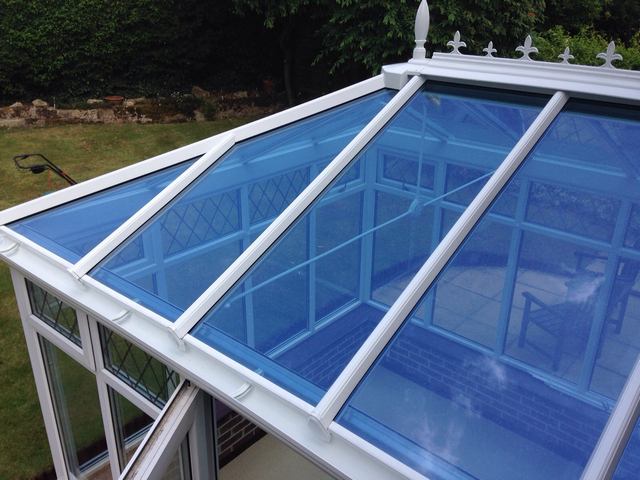 Active blue glass gives the exact same protection from the weather as the poly carbonate sheets, but it keeps the heat in during the winter and repels the heat in the summer. 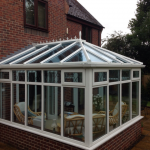 This means you can enjoy your conservatory all year round. Below are some pictures of the project, before and after. 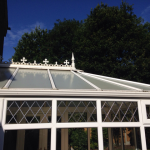 This entry was posted in Uncategorised on 4th September 2015 by craigs.